Pro 6:9 How long wilt thou sleep, O sluggard? when wilt thou arise out of thy sleep? Eph 5:14 Wherefore he saith, Awake thou that sleepest, and arise from the dead, and Christ shall give thee light. Isa 9:2 The people that walked in darkness have seen a great light: they that dwell in the land of the shadow of death, upon them hath the light shined. 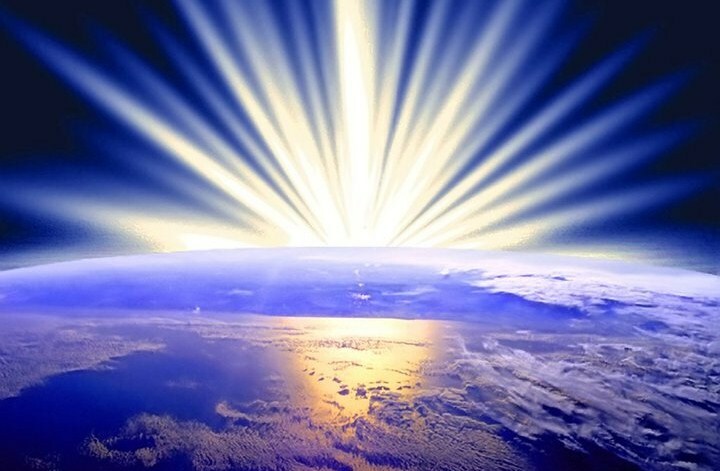 Mat 4:16 The people which sat in darkness saw great light; and to them which sat in the region and shadow of death light is sprung up. Isa 52:1 Awake, awake; put on thy strength, O Zion; put on thy beautiful garments, O Jerusalem, the holy city: for henceforth there shall no more come into thee the uncircumcised and the unclean. Isa 52:2 Shake thyself from the dust; arise, and sit down, O Jerusalem: loose thyself from the bands of thy neck, O captive daughter of Zion. Isa 52:3 For thus saith the LORD, Ye have sold yourselves for nought; and ye shall be redeemed without money. Isa 21:5 Prepare the table, watch in the watchtower, eat, drink: arise, ye princes, and anoint the shield. Isa 26:19 Thy dead men shall live, together with my dead body shall they arise. Awake and sing, ye that dwell in dust: for thy dew is as the dew of herbs, and the earth shall cast out the dead. Mic 7:8 Rejoice not against me, O mine enemy: when I fall, I shall arise; when I sit in darkness, the LORD shall be a light unto me. Psa 57:7 My heart is fixed, O God, my heart is fixed: I will sing and give praise. Psa 57:8 Awake up, my glory; awake, psaltery and harp: I myself will awake early. Joh 12:35 Then Jesus said unto them, Yet a little while is the light with you. Walk while ye have the light, lest darkness come upon you: for he that walketh in darkness knoweth not whither he goeth. Joh 11:9 Jesus answered, Are there not twelve hours in the day? If any man walk in the day, he stumbleth not, because he seeth the light of this world. Joh 11:10 But if a man walk in the night, he stumbleth, because there is no light in him. Pro 4:18 But the path of the just is as the shining light, that shineth more and more unto the perfect day. Pro 4:19 The way of the wicked is as darkness: they know not at what they stumble. 1Jn 2:10 He that loveth his brother abideth in the light, and there is none occasion of stumbling in him. Joh 12:46 I am come a light into the world, that whosoever believeth on me should not abide in darkness. Joh 9:5 As long as I am in the world, I am the light of the world. Rom 13:11 And that, knowing the time, that now it is high time to awake out of sleep: for now is our salvation nearer than when we believed. Rom 13:12 The night is far spent, the day is at hand: let us therefore cast off the works of darkness, and let us put on the armour of light. Rom 13:13 Let us walk honestly, as in the day; not in rioting and drunkenness, not in chambering and wantonness, not in strife and envying. Rom 13:14 But put ye on the Lord Jesus Christ, and make not provision for the flesh, to fulfil the lusts thereof.